When little kids enjoy playing on the floor, and why not? it is a huge place in which they can spread out and let their imaginations go. The only issue when playing on a floor though is after a while it becomes kinda painful, even if on the carpet the fact that it is a hard surface can take a beating on their joints. One way parents would try and help their child be comfier was to place decorative floor mats like a city or their favorite character but again these mats were thin so they didn't do much good. 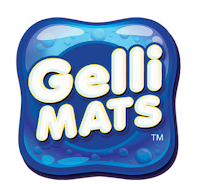 Finally, TCG Toys came out with the Gelli Mats, which are a thicker mat that has gel in it, kinda like a gel shoe insert but for the floor. 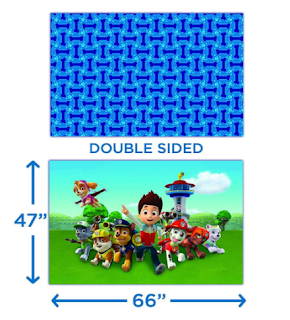 The Gelli Mats only come in 3 characters right now, which are Paw Patrol, PJ Mask, and Mickey Mouse Clubhouse, but in the works is Fisher Price. The best part about these mats is that they are in fact gel-like, they fit your child's joints so make for a more comfortable play. 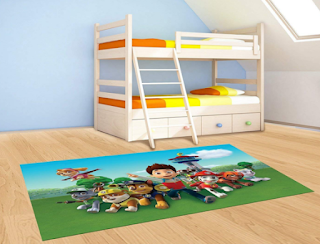 The mats also can absorb any falls so fewer bumps and bruises. 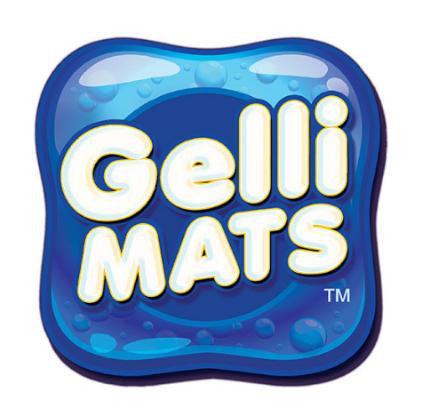 You can start with an infant to toddler and long with the new Gelli Mats. If the fact that they have gel in them didn't impress you they are also waterproof! Unlike older floor mats which when your child would dump something you would have to take out and hose off let dry or sometimes even have to trash because the mess was so bad, the new Gelli Mats can just be wiped off, that is a huge deal when dealing with children as they will ALWAYS make a mess even with the most careful of parenting they will find a way. Another really amazing factor of the new Gelli Mats is the size! They are a whopping 5.5 ft by 3.5 ft in size, that is pretty huge for a gel mat, you could even get creative and stick under your child's bedsheet at night and let them sleep on it at that size. 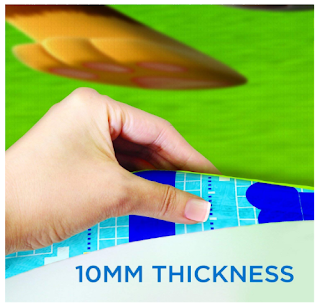 Each one of the Gelli Mats is double-sided for extra fun. You can purchase the new TCG Gelli Mats on Amazon here. 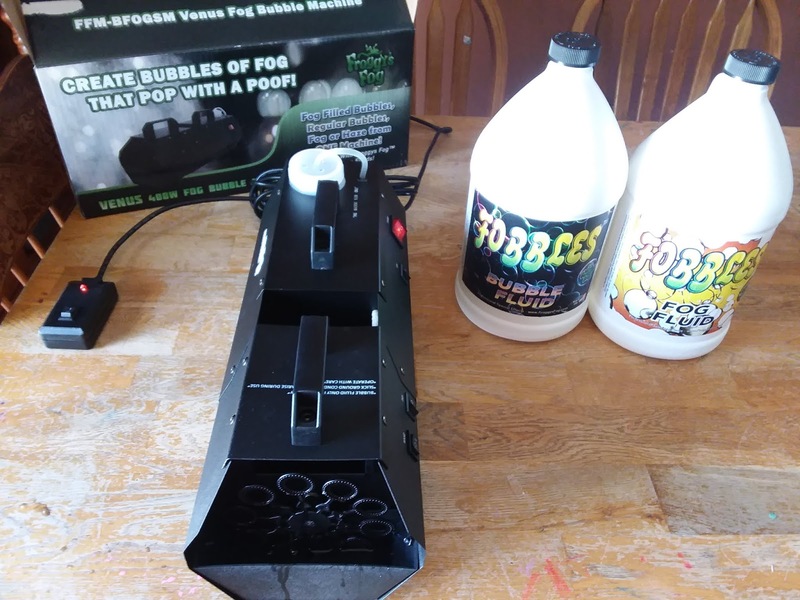 Fobbles has come out with the new FFM-BFOGSM Venus Fog Bubble Machine. This machine is soooo cool! 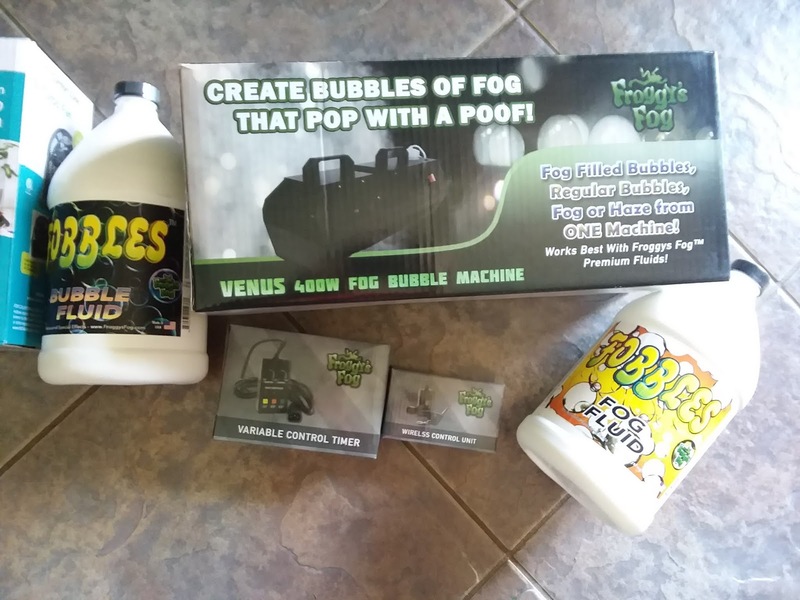 The Venus Fog Bubble Machine is super simple to use, you unpack it and plug it in, fill it with fluids and your good to go. The machine itself comes with a 10 ft cord which plugs into the back so you can turn it on and off as you wish. 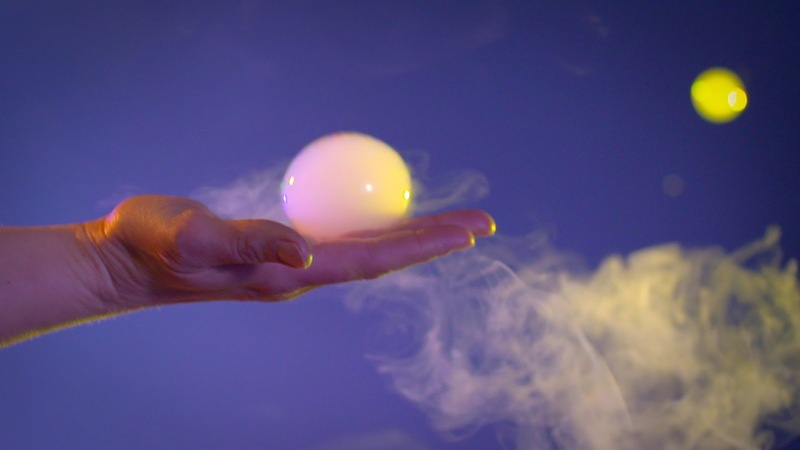 You need to make sure when using to set the machine on a flat surface also something which can withstand heat as the fog machine will heat up to produce fog. The back of the Venus Fog Bubble Machine has a line in which you can tell how much fluid you have if you run out you could ruin your machine so it is important to pay attention to this. Once the machine has had time to heat up, you are ready for play. Simply turn on the fog, which for me caught me off guard because it comes out with a force LOL then you can turn on the fan and then you can turn on the bubbles. I learned you leave all these in the on position and turn off the main switch if you wish to turn off for a little while. So now for the fun part, once the machine has warmed up (which you will get a light on the remote to let you know so) and the buttons are on you will soon have a room filled with fog and bubbles which have fog in them. I sadly do not own any black lights, but I could only imagine how cool they would look off them. The Fobbles Venus Fog Bubble Machine also has extra features in which you can purchase to make life a little more simple, like the Wireless Control Unit, this is my personal favorite as I scare my kids with it and my dogs. It works from 50 feet away and works like a car door opener just press the button and it sets it off. The other option in which you can purchase is the Variable Control Timer, this is more for your party setting it helps control the machine so that you can have it run for a second and how long to burst so basically you could almost have it set to a music if you wished. 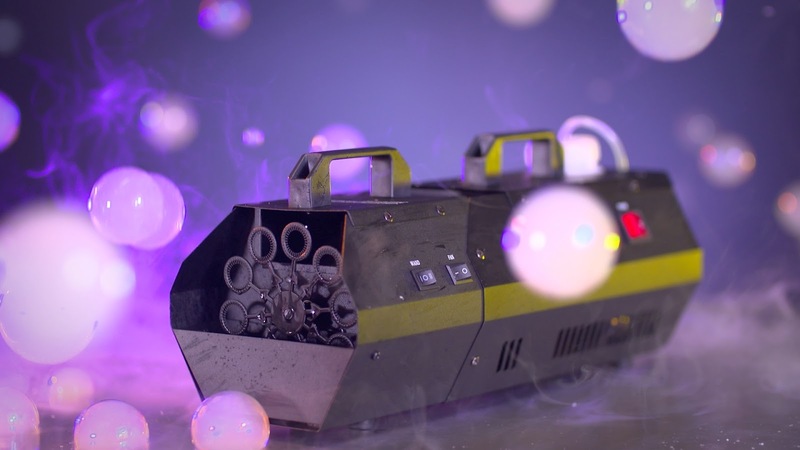 Another thing I found out when testing it on the pool is that you can run it as only a fog machine or only a bubble blower, which when running as a bubble blower it goes for a longer period of time. My dogs were inside when I made the video and as you can see they enjoyed it, my kids also have enjoyed it. Fobbles can be purchased through www.fobbles.com, or on Amazon for $124.99. Hartz® is a well-known name in our family, we have 2 dogs and 3 cats and well they can sometimes get sick and so on, so we turn to Hartz® to take care of our pets needs. 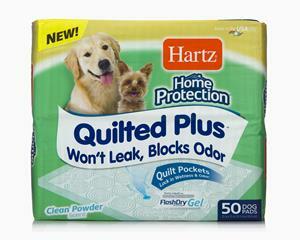 Hartz® recently came out with Home Protection Quilted Plus dog pads. Although I do not have any puppies anymore my pit bull still will pee inside our house when we sleep or if the grass is wet, which living in FL is often during the summer. Like most animals he has a favorite spot in which he always seems to pee when we are not looking, so thanks to the new Hartz® Home Protection™ Quilted Plus™ dog pads, I have been able to place them in his favorite spot and not have to worry about clean up now that I have the pads in place. The pads absorb everything he dishes out, I have not once had to clean up under the pad because it is locked in so well all I need to do is pick it up and trash it. I have found other uses for Hartz® Home Protection™ Quilted Plus™ dog pads, I also sadly have a cat which is older in age and recently has had issues using the cat box so I have placed some around his box for when he just can't get all the way in and the pads catch all the overspill. I also have used them for when my kids are sick and cannot make it to the bathroom in time, although they often will it is nice to know my bed is protected if they don't. Along with being super amazing at soaking up whatever your animal, child or whatever you use them for dishes out, the Hartz® Home Protection™ Quilted Plus™ dog pads lock in odors! That's right no stink so unless I physically go over to where I have the pad placed and look at it I would never know my pet has used it, how great is that! You can find the new Hartz® Home Protection™ Quilted Plus™ dog pads at your local pet stores and most major retail stores, along with many other great products from Hartz®.